Orange and black was the name of the game as the Earl’s Court Group took its first leap into the restaurant industry. 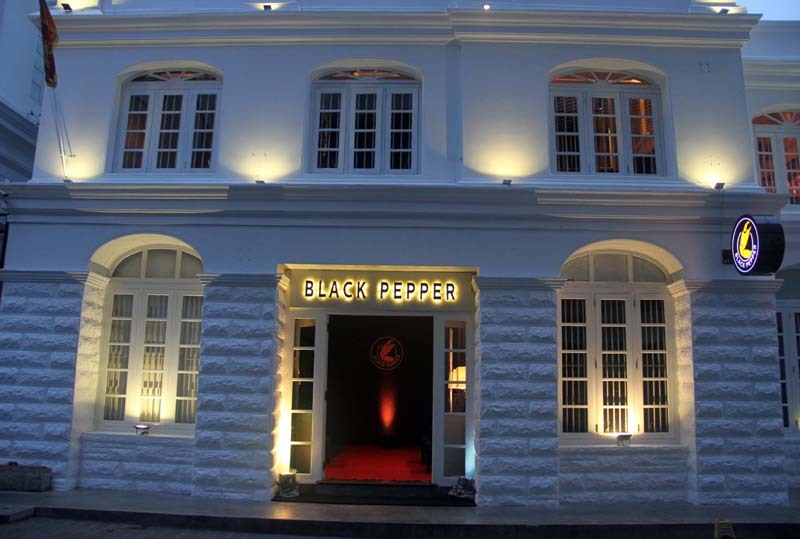 Officially launched on 26 January, the Black Pepper brings the very best cuisines from the four corners of the island to Colombo in a mouth-watering fusion of modern and traditional styles. The menu also features a number of authentic and modern seafood dishes, including the notorious Jaffna crab curry, garlic butter prawns in Cantonese style, the Tangalle seer fish curry and the chili crab in Singaporean style. All dishes served at Black Pepper are prepared using nothing short of the best local produce.